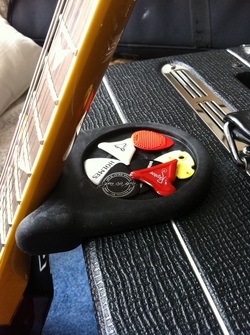 I keep coming across other cool guitar stuff, so I thought I should have a 'non-pick' page featuring things for guitarists! Scroll down for a range of great ideas! Firstly, it has to be said, that I get really excited when I see new inventions! 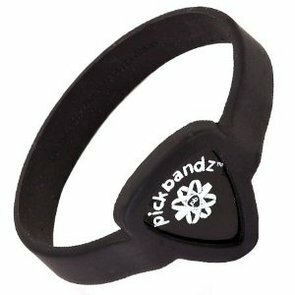 The Pik-Tik is a really practical, well designed guitar accessory. Most pick holders are attached to the guitar with an adhesive sticker, so you basically leave them on. The simplicity of this, is that it is basically a suction cup, so it comes off with a tug & can therefore be used on more than one guitar! It also doesn't leave any sticky residue on the guitar. The other notable difference is that the pick is set in perpendicularly, which makes it really easy to grab quickly. The entry slot is slightly curved, giving the pick an excellent grip. "We see ways to improve music accessories, so we re-invent. We see ways to impact the world, so we re-invest. Hogjim (хөгжим) is the Mongolian word for music, and through music Hogjim plans to transform Mongolia. Today half of Hogjim’s profits go directly to the people of Mongolia." To buy a Pik-Tik, find out more about the work they do in Mongolia, and to see their other guitar products, click on the logo below. Pinegrove Leather based in the UK, make these really beautiful wallets. The first thing that struck me, was the beautiful craftsmanship. They really are little works of art, carefully handmade with a quality that will last for many many years. Aesthetically they are simple, understated and functional. On a practical note, it holds 15 picks, capo and other accessories. With a nice, flat design, it fits neatly in a guitar case. It comes in various colours/textured leather and like the one I chose, cowhide is also an option. 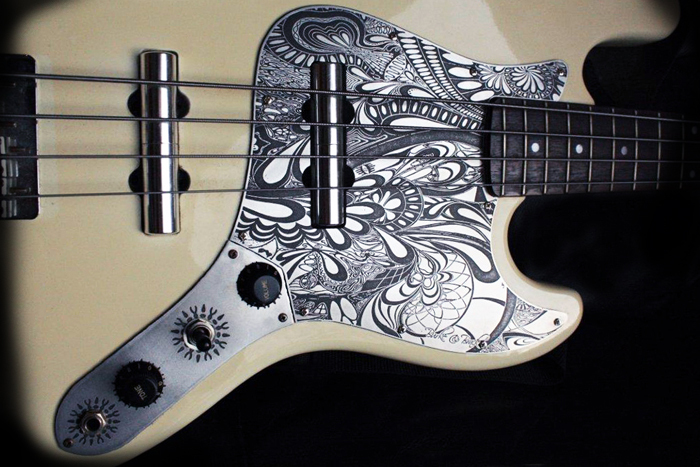 Apart from this design, they have a few others for guitar players and they also do straps. Along with that, they have products for drummers, blues harps, whistles, notebook covers, tablet covers, mobile covers etc. etc.! OMG! I love this!!! I previously showed the predecessor to this, the mini, but today I finally got round to buying this one. Even though I'd seen photos, I was shocked to see how TINY this is! Really neat! 1.25 inches! It's so small, you'd want to leave it on, so you might consider getting some more! It was just under £12 (& is incredibly selling for only $14 in the US) with free postage. 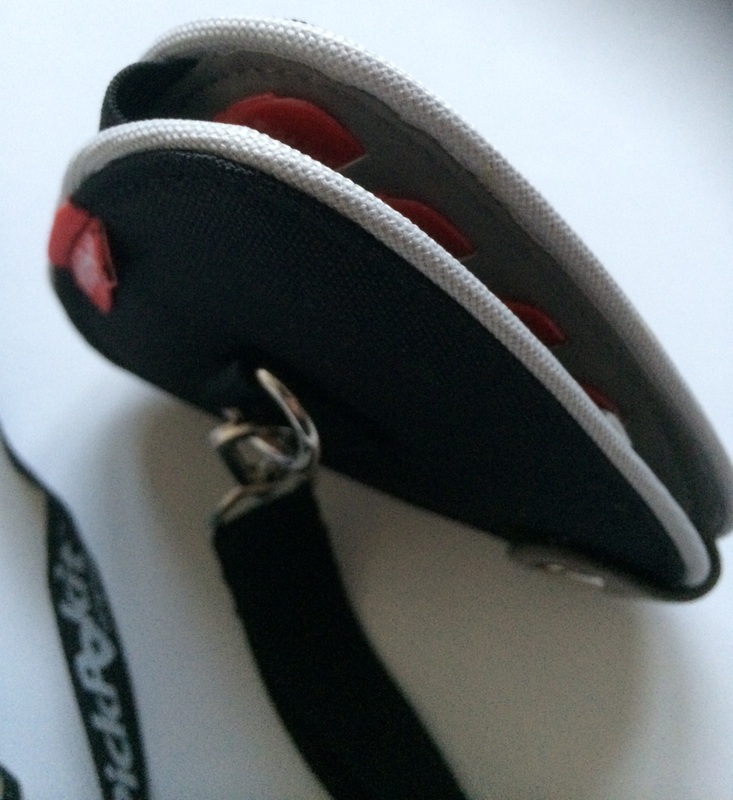 It has a ratchet clip for attachment & can be swivelled around 360 degrees. Because it can be rotated, you can press a button to have the display rotate too. The tuner can be calibrated between 410hz-480hz. It also has a flashing metronome. And finally, as if that isn't enough, it has a tri-colour reversible backlit LCD screen makes it easy to tune in dark environments!! Click here to buy/view one. Firstly, what a brilliant idea!!! The worst thing about changing strings is that they can take time to bed in, to stretch, which results in constant re-tuning. This string STRETCHA is a great gadget that does all this for you. A simple, light, portable device that allows you to stretch your strings in minutes and it works on electric or acoustic. There are no fancy parts to it, so nothing can fall off or break. It's the brainchild of veteran Rock Producer/Engineer Duane Baron (Ozzy Osborne, Motley Crue, Social Distortion, Tracy Chapman), Canadian singer songwriter Jamie Van Scott and their machinist friend Bud McNair. Basically all you do, is run the Stretcha down the strings a couple of times to obtain the right amount of stretch. String it, stretch it, strum it! Why struggle trying to stretch your strings with your fingers or leaving them to bed in naturally, when this does it quickly and evenly for you? 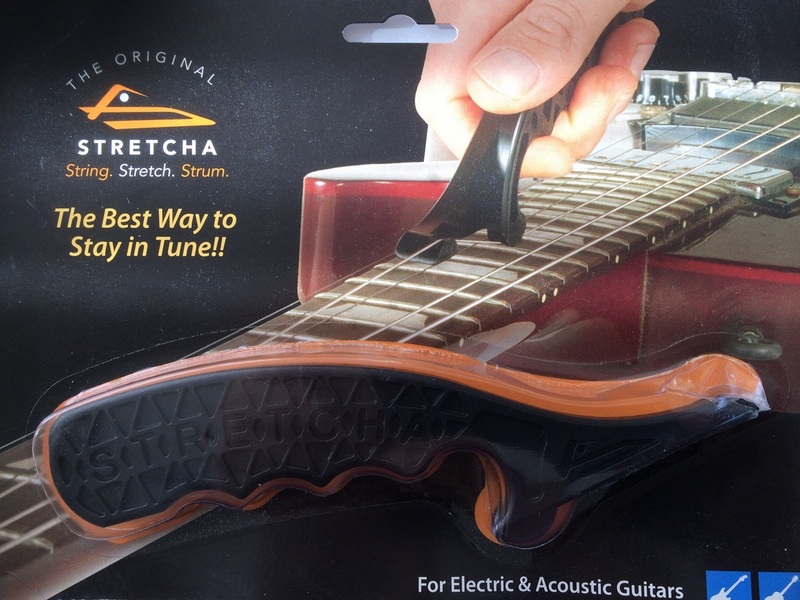 The string STRETCHA should be part of every guitarists toolkit, it's as important as keeping a string winder in your case. Anything that makes a guitarist's life easier and is cost effective, should be part of your kit! I wish I could write more about this, but it really is such a simple invention that is pretty self-explanatory! Here's a video that explains how simple the STRETCHA is to use. To buy a string STRETCHA, go to their website here. I've wanted one of these since the first time I saw them, probably a year or two ago! But they were 'out of stock'. I tried to find ways of contacting the owner to see if they were discontinued or available somewhere else, but had no luck, that was until a few months ago, and here I am now, the proud owner of one! 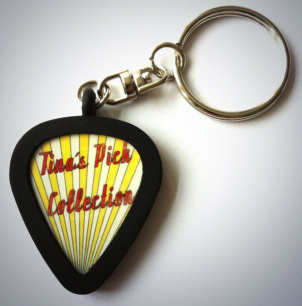 They're so handy for keeping all your picks in one place (unless you've got a couple of thousand!) ;-) It's a really nicely designed wallet and comes with a lanyard. At only £16.50 (UK) - about US$27, it's very affordable. It's also a great gift to give to a guitarist! I'd say this was another 'must have' product for any guitarist! I've yet to meet a guitarist who hasn't suffered the frustration of searching for a pick at some time or another! 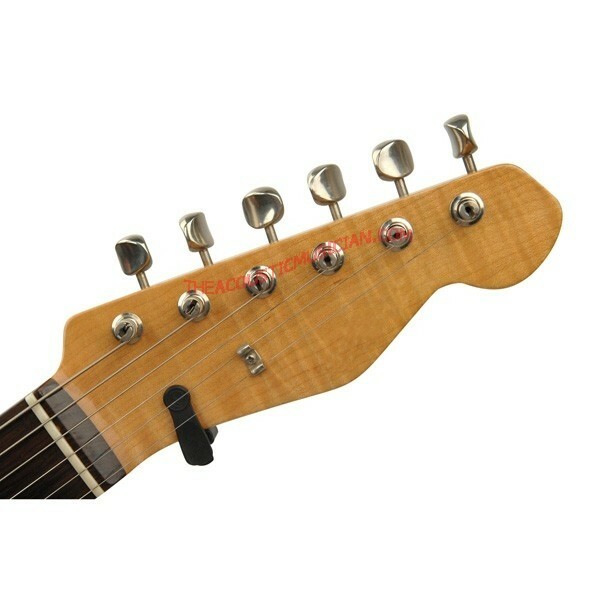 Load it up and pop it in you guitar case or hang it up, and you'll never need to search again! To go to the Pickpokit website for more info or to buy one, click here. I've had one of these for probably a few years now and it's still going strong! They are great fun!! Basically, when you first get it, you will find yourself digging through cupboards for any old credit/phone cards etc.! Then you'll start getting creative and find all sorts of materials to punch! One of my favourites was the plastic lids off the top of beer barrels, from our local pub! The writing/logos looked really cool! In a ukulele class, I punch out from a large laminated world map. 30 instant picks at no cost and soft enough not to scratch the wood! A4 plastic ringbinders are good too - and a bonus is the pick shape holes left behind make the ringbinder look pretty unique! It doesn't work on heavy stuff, like CD's. Trust me. They now come in lots of different pick shapes too - the classic 351, 346, 355, jazz and soon teardrop. These are ABSOLUTELY BRILLIANT!!!! I wear one all the time and have done for a few years now. What's excellent is that it holds up to 2 picks and because you put the picks in, it's obviously very personal. The other reason I really like them is because they're DIRT CHEAP so anyone can buy them!!!! 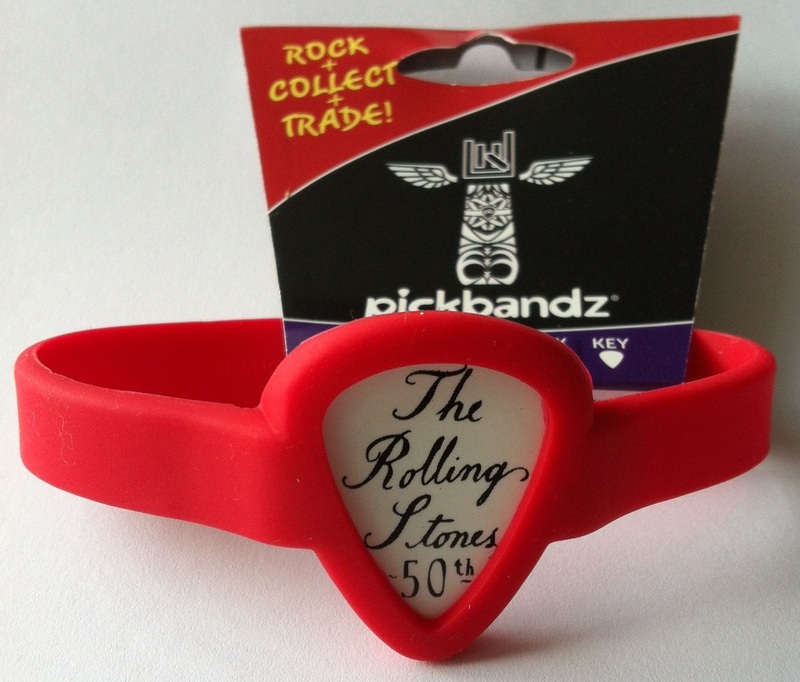 They make really good cheap presents for guitarists too! They're available in 10 colours. Pickbandz PRO. 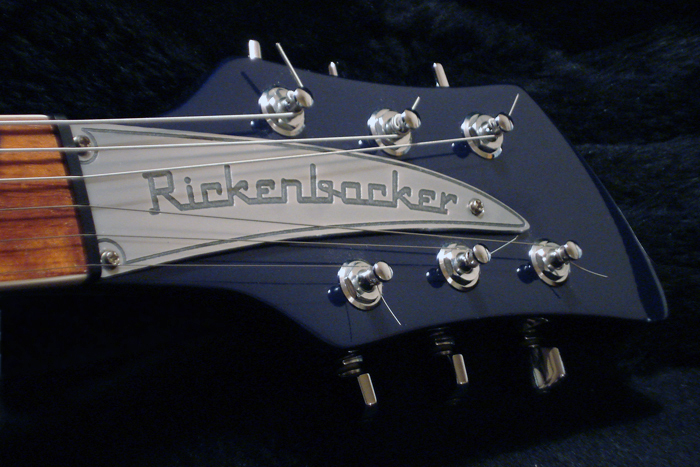 This is a new design that holds up to 7 picks at a time. It also has a fancy strap! I'd suggest Medium to Large for men and go for a Small for women as they're quite a big fit..
And one of my personal picks in my Pickbandz keyring, now on my set of keys & looking great! These are beautiful!! Such a simple idea but such a good one - who wouldn't want one of these?!! 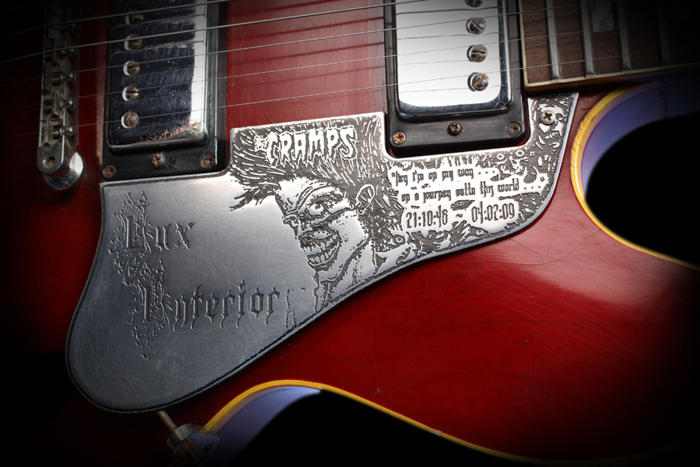 Your design is etched into aluminium to personalize any pick plate. Click on the pick plate to be taken to their website! Check out this really neat keyring! Holds up to 3 Slick Picks. Click here to see more details about Slick Grips and the keyring. This is absolutely brilliant!!! 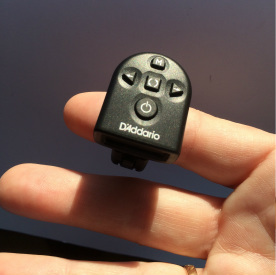 It's basically a small rubber gadget that sits on any flat surface such as an amp, table, sideboard etc. and provides a safe place for resting your guitar! The thing I like is that it's so smal that it's easy to slip in to your case or the back of the amp to carry around. The other neat thing, is the little tray on top to put your spare picks in! It's also cheap as chips so an ideal gift! I love mine! OK I don't actually own this, and have never seen it, but it's so cool that I had to add it! 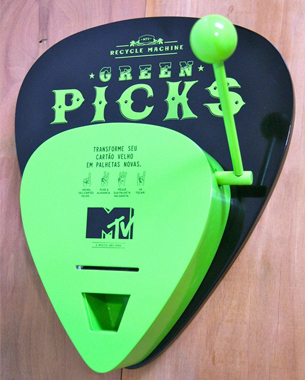 MTV’s Green Picks Recycle Machine (made by Brazilian advertising agency Loducca), was placed in nightclubs and bars across San Paulo. 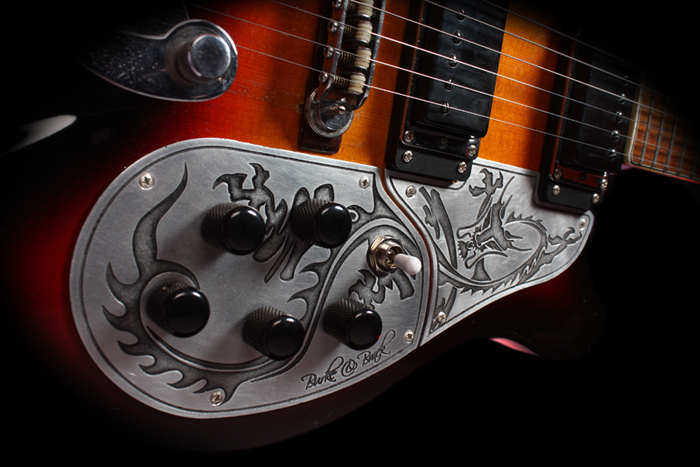 It’s easy to use: insert your card, pull the lever, and the machine punches out a guitar pick! This is not just any old cable! I needed a new cable but wanted something 'substantial'! Cables take a lot of abuse so I wanted a premium quality one that would never let me down. There are some ridiculously high priced cables out there, but on the opposite scale there are a lot of cheap rubbish cables out there!! Great if you're just playing in your bedroom, but for any gigging musician, you need something that's not going to let you down, can be jumped/walked all over during gigs, have the odd beer spilt over it, and shoved in to your gig bag quickly when you're packing away at 3am. Industrial strength is an understatement!!! These will outlive us all - you will be passing these fellas on to your grandkids! So confident are Armor, that they offer a 60 day trial, so if for some bizarre ason you decide you don't like the, you'll get a full refund and they also offer a Lifetime Warranty!! They know how good their product is! "I wanted to really put it through the ringer. Read carefully: I was able to freeze the cable, boil it, knot it up, harness my Hartke bass cabinet, TOW A CAR and LIGHT IT ON FIRE. This thing still works. I can't bust it, nor will I try, I'll just enjoy a nice, tough cable." Now you're wondering how you could test this product to the max aren't you?!!!! To start with the most important thing, tone. 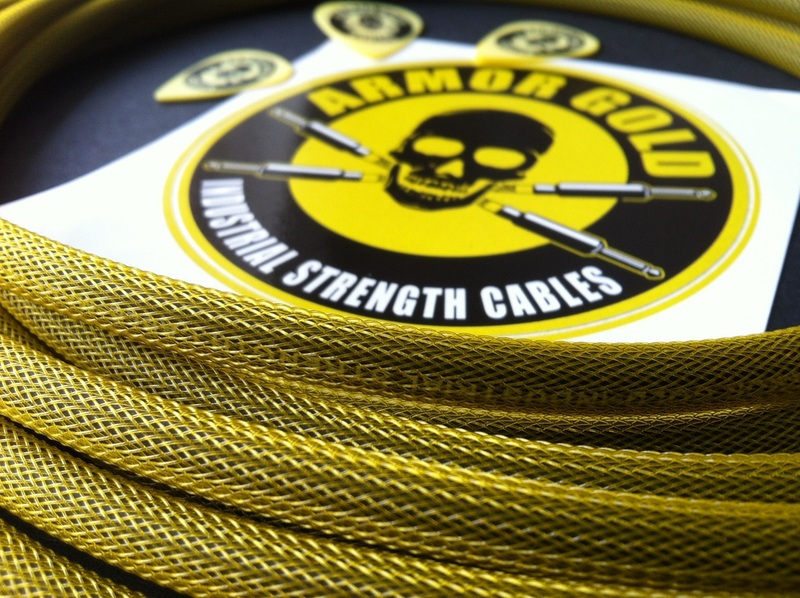 Armor use medium-low capacitance wire which gives a great tone. Different cables do sound different... super-low capacitance (below 30 pf) can sound too trebly and harsh, while higher capacitance (over 40 pf) cables can sound dull and lifeless. Armor hit the sweet spot at 33 pf for that elusive combination of warmth with clarity! It's the old 'cheap pick' thing again...you spend $$$ on a guitar, $$$ on an amp, then 50c on a cheap pick, and don't realise how much it can affect your playing/tone. Same with your cables, most people don't experiment with different cables and end up with a cheapish off-the-shelf one from their local store, believing it to 'be ok'. Come on! 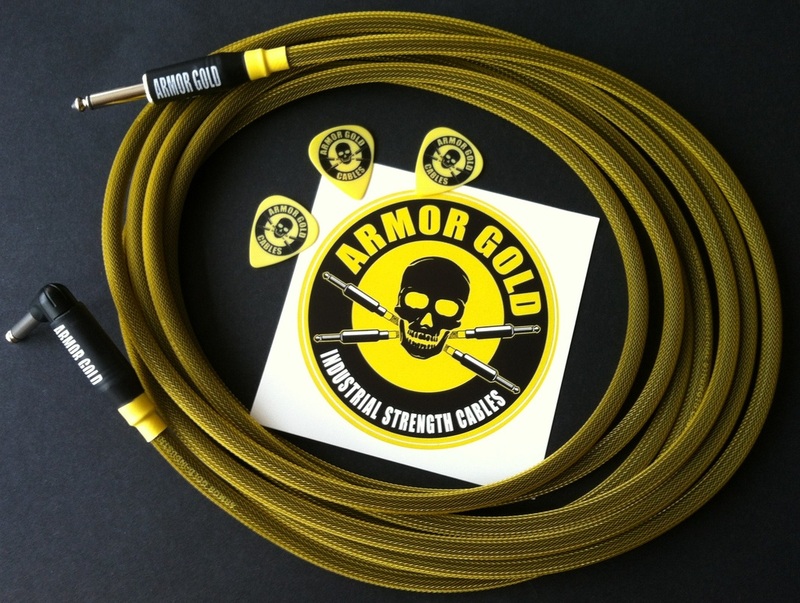 You love your guitar more than that - treat it to a decent quality cable! (No I'm not on commission, I just love this cable!). Before I you go on to the tech spec, it's worth mentioning another design feature, the gold color which was chosen for a reason... visibility! At close range it's slightly reflective, so your drummer and drunk friends won't accidently trip over it. But from a distance it has a subtle appearance, so it doesn't look distracting on stage. That's neat! Industrial Mesh Outer Layer - Extra layer of protective mesh prevents damage from stretching, pinching, bending, slicing, kinking and other common hazards of stage use. This is NOT a cloth braid, it is a high tech polymer mesh commonly used in industrial and aerospace applications. Amphenol Plugs - Professional grade and precision-engineered connectors that have stood the test of time. The choice of touring pros who depend on their proven reliability, durability, and strength. Dual Strain Relief - First layer is a flexible grommet where the connector meets cable. Second layer is a secured yellow heat shrink that extends past the grommet onto the cable for double protection against failure from flex strain. Double Layer Heat Shrink - Two layers cover the plug. The yellow layer provides strain relief to the cable and prevents the plug body from accidently coming unscrewed. The black layer prevents the yellow layer from cracking or slipping off and gives the plug a softer grip. 20 Gauge, 41 Strand Oxygen Free Copper Conductor - The perfect blend of flexibility, strength and medium-low capacitance. Oxygen free copper delivers a purer signal. Resin Injected Connections - After soldering, resin is injected between the hot and ground connections preventing them from contacting each other and shorting out. PVC Outer Jacket - Thick but flexible jacket provides protection and excellent handling characteristics. 95% Spiral Wound Copper Shield - Provides protection against outside interference, but maintains flexibility. Conductive PVC Layer - Reduces handling noise and provides extra protection against outside interference. 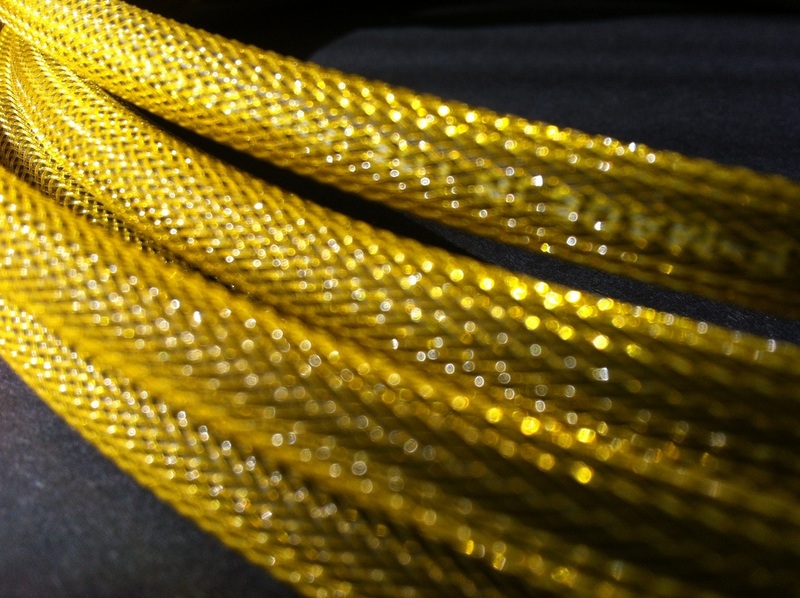 Polyethylene Wire Insulation - Extremely durable and reduces capacitance. 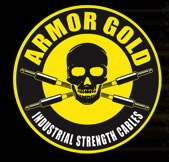 Lifetime Warranty - All Armor Gold cables are warrantied for life against defective materials and/or workmanship. I've put this at the bottom as I'm pressuming that it is now obsolete! 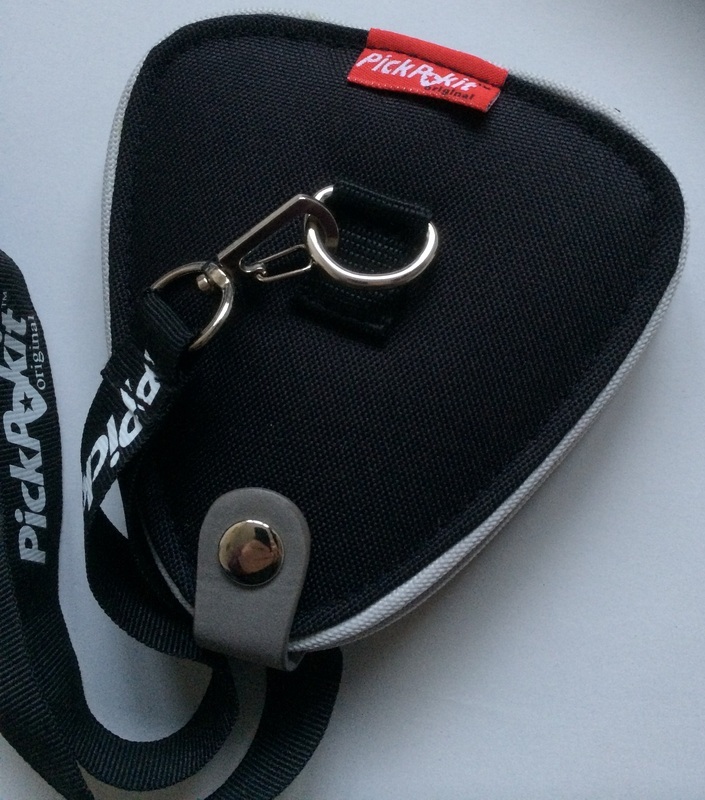 It is the most basic pick holder - slap an ugly bit of Velcro on your guitar, stick some Velcro circles on your favorite picks, and instant pick holder!